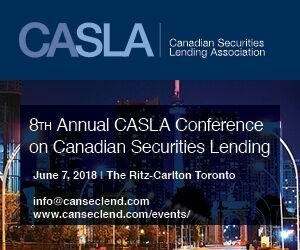 The Canadian Securities Lending Association (CASLA) held its annual conference last Thursday. This was a very well put together event that benefitted from strong attendance including Canadian, US and a few European market participants. The regulation and funding panel was a highlight as was the strong diversity across all the panels. Here are our notes.